Looking for that perfect home where you’re in charge of home preps and maintenance? 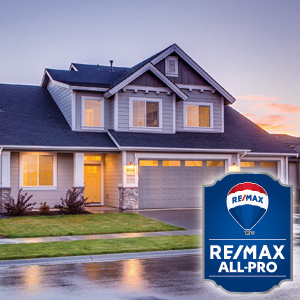 Look no further than remaxallpro.com to help you find a local agent who can help make your dream of owning your own home a reality. Every seller wants to get the best deal for their house—especially when you consider that as much as $500,000 in profit can be earned tax-free. So why not just price your house to the moon? After all, you can just bring it down later, right? Well, there are a few problems with that. If you price high and then slowly start bringing it down…and down…and down…buyers are going to notice. It makes that home start to seem like it’s in a bargain bin. You want your home to appear like a deal, not cheapened goods. When it sits on the market for an extended time because of overpricing, buyers are going to wonder why. Would you feel urgency as a buyer if you read that a property was listed 180 days ago? Probably not. Do your due diligence. What have houses like yours sold for when the deal was made in a reasonable time? And what were the original prices of those homes? Have an honest discussion with your real estate agent. He or she knows the area, and wants to sell your home as quickly as possible for the most competitive price. What does he or she think is reasonable? Be an assertive seller, but don’t overplay your hand. Remember, the little extra money you hold out for may not be worth the six months or year of mortgage payments you’re stuck paying in the meantime! Timing is equally important in the real estate marketplace. Home prices are constantly fluctuating with the dynamic forces of the local, national, and global economy. No real estate associate can control these forces. However, your RE/MAX associate will research and prepare a detailed “Market Analysis” of your property. Your market analysis will compare all other sold and currently listed properties in similar locations, characteristics, amenities, and condition to your home. Together, your RE/MAX associate will help you interpret the data and make an informed decision as to where your home should be priced. FAIR MARKET VALUE PRICING will enable you to reach 95% of the buyers searching for your home’s criteria. JUST 15% above fair market value will decrease your buyer pool to 20%. Buying a new home is exciting – and a big deal. If you’re searching for the perfect place, or you’ve already found it and are under contract, the next step in the process can feel more tedious: moving. 1. Make a plan of attack – Whether you’re moving across town or across the state lines, you’ll probably want to rent a truck. Do you have willing helpers to assist in the move, or will you need to hire some help? If you’re moving farther away, you’ll probably want professional help. Figure out what your moving needs are, and ask friends or your real estate agent for references to a trusted mover. Also, stock up on boxes, packing tape, permanent markers and packing peanuts/bubble wrap. 2. Prioritize your packing – As you start packing your current home up, designate a few boxes for each room that you’ll need quick access to. For example, you’ll want to keep personal toiletries, shower curtains and liners, a first-aid kit and other necessities easily accessible for the bathroom. Label these boxes “Open Now” so you know which boxes are filled with the essentials – and which ones can wait until later. 3. Don’t go it alone – Packing is a monumental task. Invite some friends or relatives over, buy some pizza and make it a packing party! Delegate the tasks you feel most comfortable entrusting others with, like packing up DVDs, books and other non-fragile items. A little help goes a long way to saving you some time – and sanity. 4. Don’t take it all – If you realize you have 10 boxes of clothes and you haven’t worn half of them in a few years, it’s time to part ways. Create three piles: a “keep” pile, a “sell” pile and a “donate” pile. If time permits, hold a moving sale to unload some of the items you don’t want anymore. Bonus: Selling items before you move gives you extra money that you can put toward moving expenses. Added bonus: You reduce the clutter. 5. Forward your mail – Believe it or not, people forget to do this all the time! It’s easy to change your address with the U.S. Postal Service. Simply visit the USPS website, and in a few steps you’re done! 6. Turn off your utilities – Check with your local utility providers, as well as other services (trash pickup, newspaper delivery, cable/Internet, phone), to inform them that you’re moving. They’ll need to know an exact date for your move so they can transition or cut off service. You don’t want to be billed for charges after you move! 7. Change your address everywhere else – Contact your bank, credit card companies, healthcare providers, schools, etc. to give them your new address. Although your mail will be forwarded, you still want to update your contact information as soon as possible to avoid missing important bills or letters. 8. Be flexible – Closing day can be unpredictable, and sometimes there are delays. If you’re scheduling movers or arranging for help, you might want to pick a day or two after closing to avoid a moving-day headache. 9. Consider hiring a professional house cleaner – Sellers don’t necessarily leave their homes in sparkling condition when they leave. If time and budget permit, hire a house cleaner to make your new home move-in ready. It’s one less thing for you to worry about! Ready to search for a new home? 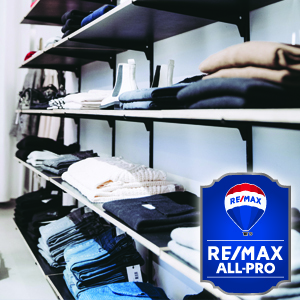 A local RE/MAX agent can help you find your perfect fit. 10. 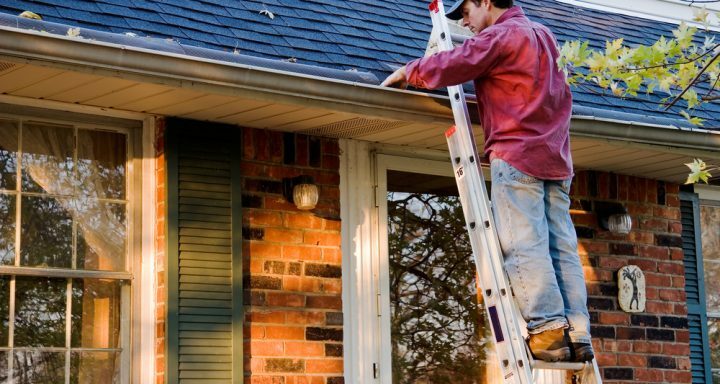 Clean the gutters. Clogs can cause water to pool and tear away from your home. The right agent can help minimize the time your home sits vacant. Find a RE/MAX All Pro agent here: www.remax.com/officeagentsearch/.